Separate crescent dough into 4 rectangles; press seams together. 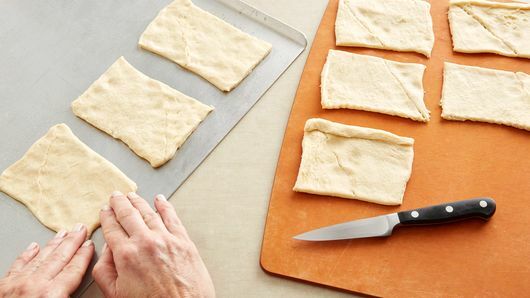 (If using crescent dough sheet, unroll and cut into 4 equal rectangles.) Using pizza cutter or sharp knife, cut each rectangle crosswise in half. Place crescent squares on cookie sheet, and press out slightly. Bake 8 to 9 minutes or until light golden brown; remove from oven. 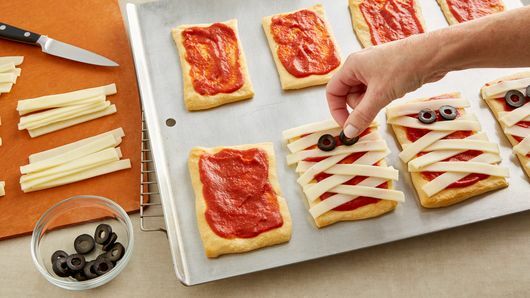 Spread about 2 teaspoons of the pizza sauce on top of each crescent square. 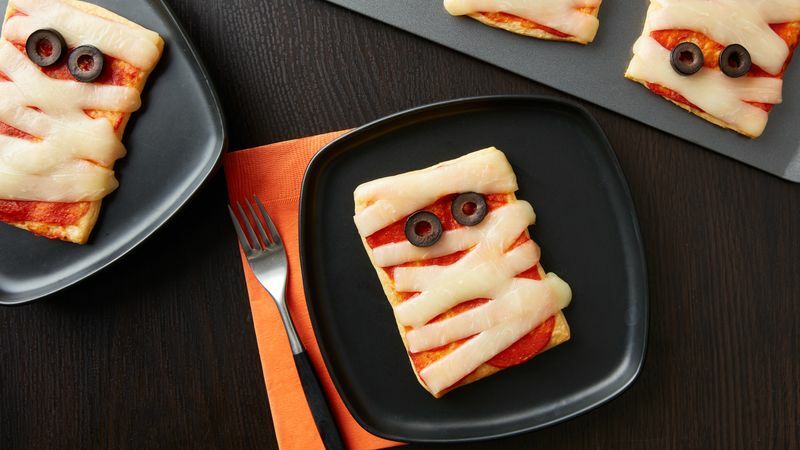 Top each with 8 strips of mozzarella cheese, alternating and overlapping strips to look like mummy bandages. Add 2 olive or pepperoni slices to each for eyes. Bake 2 to 3 minutes longer or until cheese slightly melts. Serve warm. Serve with extra pizza sauce for dipping, if desired. Flavor these up by adding chopped Canadian bacon or pepperoni before adding the cheese.